Maid and house cleaning service in Charleston, SC. Merry Maids of Charleston offers reliable and affordable maid services that can spruce up your home and unearth the storage space you forgot was there. 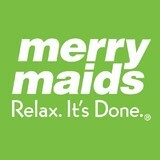 For 35 years, people have been relying on the Merry Maids brand for dependable, extensive house cleaning services. In order to provide the highest quality cleaning in your home, we focus on hiring the best people and professionally train them to follow the Merry Maids process. Give us a call today, our team in Charleston, SC is eager to assist to you! Why waste time and energy cleaning your home, office or rental property when you can have maid service companies do it for you? Maid Perfect of Charleston provides high-quality maid cleaning services in Charleston, South Carolina and the surrounding Tri-County Area. Our staff has the experience and skills needed to get your interiors looking absolutely spotless in no time. Maid Perfect of Charleston has helped countless residential, vacation rental and commercial property owners with our unrivaled maid cleaning services. Whether you want to get your new home move-in ready or you need weekly scheduled cleaning services for your office space, we’re the company to call. All of our cleaning jobs can be personalized to your specific needs and budget. We offer a $40 discount to all our new clients on their first home cleaning service. If you don’t need your entire home cleaned and would like to try us for an hourly cleaning, we are happy to offer a $25 discount to our new clients. This discount is for a team of two workers for two hours. We are also happy to offer $20 off of your third and fifth cleanings with this regular service. We realize the importance of word-of-mouth advertising and offer a $25 discount for each referral that we receive that uses our weekly or biweekly service. Please call Maid Perfect of Charleston today to schedule your next cleaning. When you are looking for maid service companies, rely on us to get the job done right! At Moisture Control Experts, we believe that your house should always feel comfortable and safe to be in. However, without a proper mold inspection, there could be harmful things in your home that you are unaware of. Without mold testing, fungus and black mold can cause serious health issues in humans and animals and could be in your home without you knowing it. Know your house and family is safe by having the professionals at Moisture Control Experts. Take care of your black mold and fungus problems. Call us today for a mold inspection in the Charleston, SC area! Moisture Control Experts. is an environmental service firm that specializes in water damage restoration, mold remediation, structural drying, mold testing and crawl space encapsulation. We have been proudly serving Charleston, SC and the surrounding area since 1998. Offering mold Inspection & mold removal services If you notice mold in your home, you should schedule a mold inspection by a certified mold remediation expert from Moisture Control Experts. We visually inspect your home for possible moisture problems. We will then collect contaminated material from your site to be sent out for mold testing. Products & Services Charleston SC, Mt. Pleasant, West Ashley, Downtown Charleston, moisture, moisture control, repairs, air quality testing, renovations, crawl space, damp, dry, wood destroying fungus, mold, mildew floor bowing, floor cupping, ductwork, walls, humidity, moisture control system, dry air, drain, drain system, French drain system, certified, bonded, contractor, commercial, residential, certified commercial and residential mold inspectors, mold inspections & testing, remediation contractors, mold consultations, mold remediation, structural drying, home allergens tested, dehumidification & water extraction systems. Specializing in new construction cleaning. When it comes to Residential Cleaning, Spring Cleaning and Rental Cleaning, no one compares to M & M Cleaning LLC. With years of combined experience, M & M Cleaning LLC has worked hard to build the trust of our clients in Charleston, Seabrook Island and Isle of Palms and beyond. Visit our website to learn more. Or better yet, click the link and call us today! Residential Home Cleaning, Organizing & Assembly Services. 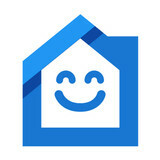 WE SHINE EVERYDAY Airbnb, Short-Term rental turn-over SPECIALS. Serving the Greater Charleston, SC Tri-County area. LICENSED-BONDED-INSURED for your Peace of Mind!! We provide all supplies & equipment or your provided preferences. WE CATER TO YOUR NEEDS. Accepting check, VISA-MC-Discover-AmEx. Routine cleaning, Deep Cleaning, Turn-over, Move In Move Out, Event Clean-Up. One time, Weekly, Bi-weekly, Monthly, As Needed. Organizing & declutter services for pantry, cabinets, closets, garage, basement & attic storage. Assembly of furniture, shelving, grills, et al. Every job is unique & I want to ensure you are getting just what you expect. Please contact me so that we can discuss in detail how I can accommodate your needs and expenses. What should I expect from a house cleaner in Charleston, SC? Most professional Charleston house cleaning services will do the same tasks for a basic residential cleaning job: clearing dust and cobwebs from all surfaces and fixtures; wiping all surfaces, including sinks, tubs, counters mirrors; cleaning tile; vacuuming and mopping. You may want to have different rooms detailed at different times, so ask about doing a rotating schedule if you want them to pay extra attention to each space (like kitchens and bathrooms) every other cleaning. Some house cleaning companies in Charleston, SC will also offer additional services such as window washing or appliance cleaning, so ask about incorporating them into your deal or doing them as a one time thing if you’re interested. Pick up any clutter (laundry, toys and other gadgets) and put pets in a secure spot so they feel safe and don’t get in the way of the Charleston house cleaning company. Put out any specific cleaning products or tools you want used, and make sure to lock up any valuables that you don’t want disturbed. Most housekeeping services in Charleston, SC will enter with a spare key or garage code, but if that isn’t something you’re comfortable with then you should arrange for them to come when you are home to let them in. Typically Charleston house cleaners expect payment at the time of cleaning, so ensure you have the appropriate form of payment (cash, check or credit card) on hand, plus a little extra for tip if that’s your style and they do a great job. 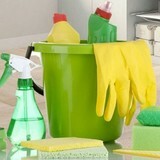 Find Charleston house cleaning services on Houzz. Narrow your search in the Professionals section of the website to house cleaners in Charleston, SC and contact local companies to ask questions and get quotes.